Like all things man-made and otherwise, business continuity plans are not perfect. They too have pitfalls that can result in your business’s failure if not accounted for immediately. Don’t blame it all on the IT guy, as often times the way a system is designed can also have loopholes. 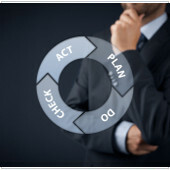 Here are a few of the reasons why business continuity plans fail.